Who am I and what brings me here? I am Zhaawano Giizhik. I am an American artist of mixed Anglo, Dutch, and Baawitigowinini Ojibwe Anishinaabe (Sault Ste. Marie Chippewa) ancestry. I am a jeweler, a graphic artist, and a writer. I work in the beautiful tradition called Native Woodland Art. 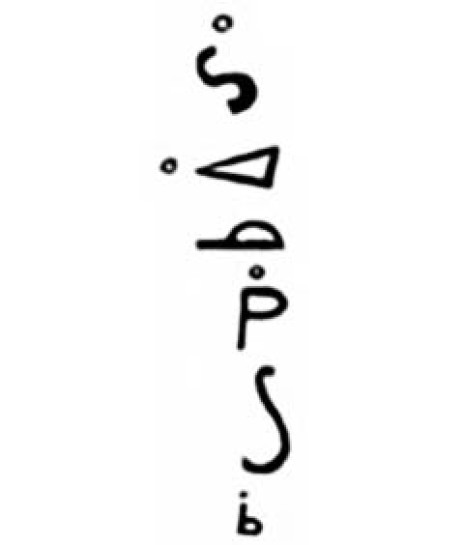 This modern, spirit-empowered art discipline, founded in the 1960s by the late Miskwaabik Animikii (Norval Morrisseau), is imbedded in the sacred oral and pictorial traditions (rock art) of my distant ancestors, the Anishinaabeg of Michigan and Ontario. My work and that of kindred artists that I share with you graphically and thematically represent these ancient traditions in my jewelry, on canvas, in poems, and written stories. This makes Fisher Star Creations - which was originally initiated in Gashkadino-giizis, the Ice Freezing Over Moon (November) in the year 2013 by myself and Woodland painter Simone McLeod - essentially a joint art project. Let me tell you something about what moves me. What brings me here is first of all my ancestry, and a traditional story. 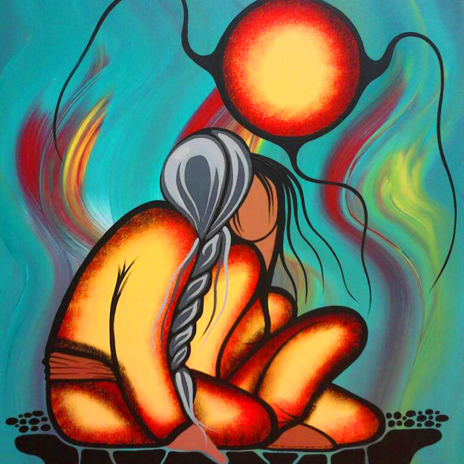 The romantic Anishinaabe story of the Fisher Star is my favorite tale; the theme that runs through my work is my Native ancestry, combined with the art of storytelling. I consider myself a storyteller at heart. I weave into my works of art tales of yesterday and by doing so I return to the traditional belief in the Seven Grandfather Teachings and my People's practices of sharing human and spiritual experience through telling stories. But the tales that I relate through various works of art by myself and others are not merely traditional; I live in the here and now and my storytelling has a modern nature! Sure, the stories that i share are as strongly allegorical as in the old tradition of storytelling, yet they also contain lessons that reflect today’s world. Carefully wrapped in ancient metaphors and age-old symbolism, each one of my stories is a teaching mirror, instilling in the minds of those who make the effort to look in it a living sense of human potentials and infusing their hearts with the power of humility and love. No matter what it is that leaves my hands and the hands of my artist brothers and sisters – be it a painting, a graphic work of art, a piece of jewelry, a set of wedding rings, a written story or a poem -, it always tells a story and it always aims at healing the spirit, and although sometimes motivated by inner struggle and pain - or longing desire -, we want our work always to breathe values of optimism and hope. Mazinaajimowin, the spiritual imagery that our ancestors painted and carved in a ritual context on and in rock, copper, animal hide, and birch bark, is part of our cultural heritage; the outlined figures of people, animals, plants, and supernatural beings and the mystic inside views (so-called "x-ray vision") that they sometimes show are just a few of the stylistic features in our artwork that testify of this age-old heritage. By the same token, however, since I consider mysef to be a modern storyteller, the designs and themes in the paintings and jewelry displayed here are also personal, and at the same time undeniably universal as they display identifiable themes of love, sexuality, anxiety, alienation, spiritual healing, and (clan) identity. Gakina-awiiya, we are all related.